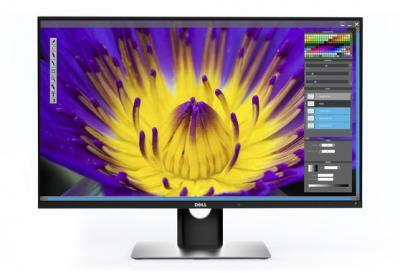 According to reports, Dell canceled its high-end 30" 4K OLED monitor, the Ultrasharp 30 OLED. Dell announced the monitor at CES 2016 (one year ago, exactly) and promised it will ship by the end of March 2016 for $4,999. Apparently Dell were unhappy with the image quality of that OLED panel - especially the amount of color drift that it displayed when you viewed the monitor from the sides - which is surprising because OLED's viewing angles are excellent. Well, there is indeed some color drift at least in Samsung tablets like Tab S 10.5: picture gets slightly yellowish/greenish when viewing from the sides. I’m not sure though, whether this is an attribute of True-RGB OLED compared with WOLED-CF or this is just a side effect of having a touch-sensitive layer, at least in case of Tab S 10.5 (AFAICT, Dell’s OLED monitor wasn’t touch-sensitive). I would prefer the monitor to hit market anyway — it’s always better to have the real product on the market regardless of how expensive it initially is than just to see it at exhibitions and not to be able to buy it at all. After all, Dell UP3017Q had clear demand at least by gamers which would probably not suffer much from color drift, but would certainly enjoy high contrast and quick response. the monitor was just a PR fiction from the beginning (this is also possible as for the 8K LCD monitor UP3218K announced at CES 2017 — this should get clear this spring or summer). I have 3 LG OLED TVs and don't really notice any side viewing color drift. By my laptop with OLED screen it is STUNNING how green it is. I'd still have picked up a (cheap) dell oled even with the side video issues. For a monitor i only care about what it looks like for me looking at it.